BT is testing G.fast technology to deliver a ‘Cloud Radio Access Network’ (C-RAN) cellular network service over copper, in an experiment believed to be a world first. 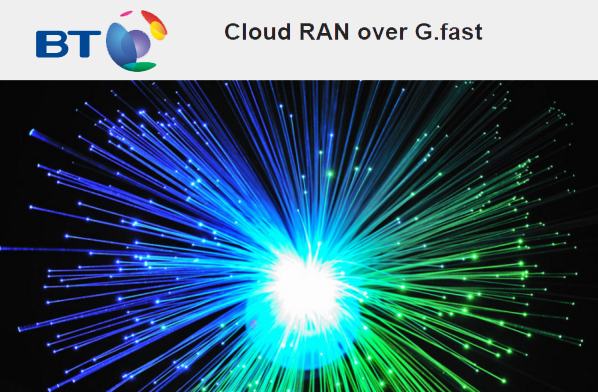 Researchers at BT’s Adastral Park Labs, in collaboration with Cavium, have demonstrated that they can use G.fast technology to deliver cellular data over copper lines at speeds of 150 – 200Mbps. BT said the conventional view has been that fiber would be required in C-RAN architecture for connecting cellular base stations to a central facility in the core network. This approach uses G.fast over copper for the fronthaul connection. “We are very excited to collaborate with BT, using Cavium OCTEON Fusion-M basestation and ThunderX server processor technology to validate this new class of Radio Access application with G.fast technology.” said Raj Singh, General Manager of Cavium’s Wireless Broadband Group.